Some patrons seek to immerse themselves in history, culture, and beauty. Others come for the air conditioning. Either way, the dog days of summer are a good time to explore L.A.’s museums—without it burning a hole in your pocket. While some art institutions are always free, others open their doors gratis only on certain days of the week or month. The best things in life really are free, you just have to know where (and when) to find them. Since February, the Westwood museum has been letting everyone in for free. The new admission policy was funded for the next four years by generous benefactors, but we’re hoping it becomes permanent. The Hammer also offers membership packages from $100 to $2500; or, if you visit the museum 12 times in one year, you can earn a free yearlong Hammer Plus membership. Perks include priority entry for two, invitations to all exhibition opening receptions and an invite to an additional Hammer Plus event. Located on the UCLA campus, the museum is dedicated to art from Africa, Asia, the Pacific, and the Americas. Though you’ll have to pay to park at one of the university’s lots (not cheap), the museum is always free to visitors. Wed., Fri. – Sun., 12 p.m. – 5 p.m.; Thu. 12 p.m. – 8 p.m.; closed Mon. – Tue. You can visit the streetside Urban Light installation, probably the most common #artselfie in the city, without charge, but roaming the museum is normally $15 for adults and $10 for seniors. Fortunately, the museum is generous when it comes to free days. The second Tuesday of each month is free, the first weekend of the month is complimentary for Bank of America cardholders, and L.A. County residents get in free on weekdays after 3 p.m. This hilltop enclave is home to an eclectic collection of works and welcomes over a million visitors a year. Parking will set you back $15, but exploring the museum is always free. 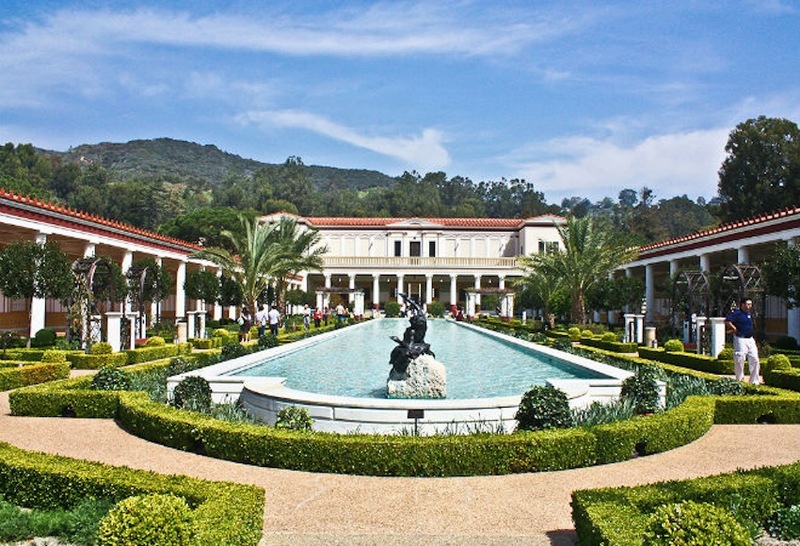 For no fee, spend your days studying the sculptures of ancient civilizations and Instagramming the property’s peristyle garden. The latter is practically an L.A. staple. One of the most prolific private art collections is just a stone’s throw away in Pasadena. Adults can see highlights of European and Asian art for $12, while seniors and students get in for $9. Don’t want to drop any dough? Visitors get in free the first Friday of each month from 5 to 8 p.m.
Paying for entry seems prehistoric—if you show up on the first Tuesday of the month from October to June. The taxidermy haven does charge on the other six days of the week: $12 for adults, $9 for seniors and students, and $5 for children 3 to 12. Mon. – Sun., 9:30 a.m. – 5 p.m.
On Thursdays from 5 to 8 p.m., it won’t cost you a cent to embrace modernity. The usual admission fee—$12 for adults and $7 for students and seniors—is waived, giving patrons access to current exhibits including Cinema Vezzoli, an homage to Italian artist and filmmaker Francesco Vezzoli. Mon., Thur. – Fri., 11 a.m. – 5 p.m.; Sat. – Sun., 11 a.m. – 6 p.m.; closed Tue. – Wed. Exploring exhibits such as Magical Realism and Modern Oaxaca is free every Sunday and the fourth Friday of each month from 5 to 9 p.m. All other days of the month, entry is $9 for adults and $6 for seniors and students. Wed. – Thur., Sat. – Sun., 11 a.m. – 5 p.m.; Friday, 11 a.m. – 9 p.m.; closed Mon. – Tue. You’ve seen ads for the Pompeii exhibition on lampposts around town. Sate your curiosity about the ancient city and view other science splendors free of charge every day. Mon. – Sun., 10 a.m. – 5 p.m.
Housing art mainly from California and the Western U.S., the museum sheds light on history with its permanent collection and exhibitions such as The March on Washington: A Tribute, 50 Years Later. Entry is free every day. While the museum’s mission is to honor Jewish culture, patrons of all religions can appreciate these objets d’art. Tickets are $10 for adults, $7 for students and seniors, and $5 for children, though prices are waived on Thursdays. Preschoolers aren’t the only ones who love arts and crafts. See the best handmade mementos for a $7 entry fee or $5 for students, seniors and veterans. Sundays are free for all. Whether you’re a casual stargazer or a Galileo-in-training, your afternoon (or evening) is always complimentary at this local landmark. The remembrance and preservation of this epic World War II tragedy comes without a cost. Mon – Thur., 10 a.m. – 5 p.m.; Fri, 10 a.m. – 2 p.m.; Sat. – Sun., 10 a.m. – 5 p.m.
Film fiends and Netflix fanatics can find solace in the museum’s library, where 100 years of television and radio history are at your fingertips. Visiting the library is free, as are the flicks in the screening room. Wed. – Sun., 12 p.m. – 5 p.m.; closed Mon. – Tue. Entry to the museum is typically $9 for adults and $5 for seniors, youth, and students. Access is free every Thursday from 5 to 8 p.m. and all day on the third Thursday of each month. It’s easy to forget that photography extends beyond iPhone snaps. Preserve the legacy of print and digital imaging at the Century City museum, which is always free to visit. Wed. – Sun., 11 a.m. – 6 p.m.; closed Mon. – Tue. Venture through SoCal’s only non-collecting art museum, where contemporary works from local, national, and international artists are showcased. Admission is technically free, though the museum suggests a $5 donation. Tue. – Sat., 11 a.m. – 6 p.m.; closed Sun. – Mon.